The balance between access to justice vs. the goals of expediency, affordability and proportionality of the civil justice system were weighed in the case of Anjum et. al. v. Doe et. al. Here, it was ruled that a defendant insurer would be permitted to bring a 3 day summary judgment motion requiring viva voce evidence from a catastrophically injured Plaintiff along with evidence from competing experts on both sides. The practical effect, although expressly denied in the decision, is that the parties are having an expensive and time consuming three day mini trial on liability, without a jury. The Plaintiff Anjum was involved in an alleged hit and run car accident which caused catastrophic injuries. Anjum could not identify the vehicle that hit him, so he sued his own insurer, State Farm under the unidentified motorist coverage under his policy. State Farm denied that there was any evidence indicating involvement from another vehicle and brought a summary judgment motion along these lines. State Farm took the position that oral evidence of the Plaintiff and experts was required at the return of the motion. The Plaintiff submitted that because oral evidence was required, that it was not an appropriate case for a summary judgment motion and State Farm’s motion should be dismissed with costs. Viva voce evidence for summary judgment motions is rare, particularly in car accident cases. The same can be said for summary judgment motions which require more than a day. There are provisions under Rule 20(2.2) for a judge to use her discretion to require oral evidence to be heard at the return of a summary judgment motion, although this is not required and rarely invoked. 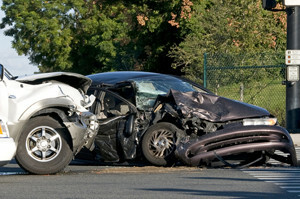 Anjum was the only witness to the car accident. The experts were the only other parties capable at providing any sort of insight with respect to liability. The Honourable Justice F. L. Myers found that the appropriate and proportionate outcome would be to arm the motion judge with the best evidence possible and to leave it to that judge to make the necessary findings; or if a more expansive, expensive process would be required in the interests of justice. It was noted throughout the decision that civil trials are not a right, and that in today’s day and age of lengthy, costly litigation; trials are no longer the default procedure in the civil justice system. Ontario Courts, and litigants simply cannot absorb the time or costs involved. In practice, the result of this decision is that the parties and their experts will essentially prepare for a three day mini trial, without a jury, on liability alone. The parties are going to prepare just as hard for this three day summary judgment motion as they would for three days of actual trial time on liability itself. The expert fees in preparing for and providing oral evidence at the summary judgment motion will likely be identical to those fees in attending three days at trial as well. Had this motion been brought 5 years ago, chances are that that the only evidence which would be accepted would be the Affidavits of the parties, expert reports, along with the transcripts from any cross examinations on those Affidavits because the Rules had not been changed to expressly provide for oral evidence on summary judgment motions. The cost of bringing a summary judgment motion without oral evidence, which if only heard over one day in Court, as opposed to three days with oral evidence, is reduced by three times, if not more. If the Court and the Rules Committee were really concerned about the cost of litigation to parties, it would surely take this in to account. The multi-day summary judgment motion with viva voce evidence could prove to be a useful tool for deep pocketed insurers in personal injury cases. Most injured Plaintiffs are terrified of the idea of going to Court. Add to that the costs associated with having what essentially becomes a battle of experts in open Court, without having an actual trial, will only favour the side with the larger war chest. This is certainly not what the Rules Committee had in mind when invoking the new Rules. I would like to turn the readership’s attention to the tragic Wijeratne v. Prosa drunk driving case. If you recall, Mr. Prosa was driving drunk the wrong way on Highway 427 in Mississauga, killing 2 and critically injuring another. Mr. Prosa ran a criminal trial whereby he almost got off on a technicality. He was eventually found guilty. The sentence for driving drunk, killing 2 and injuring another? Only 5 years in jail. Imagine that; just 5 years in prison for having made the decision to drive DRUNK. Financial compensation from the personal injury claim will never make the Wijeratne family whole ever again. No words of remorse from the Defendant Prosa could ever hope to bring the Wijeratne family the peace of mind and solace which they deserve. Do you think that a monetary award for the policy limits (if this is even a limits case) of $1,000,000 will ever serve justice for the Wijeratne family? Drunk driving and impaired driving charges simply need to be more strict in Canada. As we saw with the Neville-Lake v. Marco Muzzo tragedy a few weeks ago; people continue to drive drunk; and when they do, really bad stuff tends to happen. How’s this for a crazy technicality; the Jeep which Mr. Muzzo had been driving when he hit the Neville-Lake vehicle burned/caught flames while in police custody. Wouldn’t it be terrible if what this case turned on was some sort of evidence stemming from the vehicle itself; but that evidence is not longer available on account of the fire? Talk about tragedy.